There are many excellent herbs and supplements for anxiety. Thousands of people have found relief by reading THE DAILY MEDITATION’s guide to stopping meditation with anxiety. But as well as meditating you might like to use some herbs and supplements for anxiety. Recent systematic review of studies, completed by the GNIF (Global Neuroscience Initiative Foundation) have shown that natural remedies for anxiety and herbs for anxiety offer effective treatment without serious side effects (1). These are the best herbal remedies for anxiety. 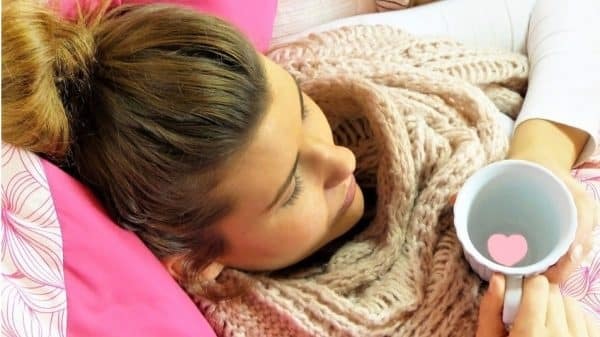 B Complex is one of the best natural remedies for anxiety. According to the Global Neuroscience Initiative Foundation, B Complex is essential for “stress management, neurotransmitter balance and energy production”. The best supplement for anxiety are B1, B2, B3, B5, B6, B7, B9 and B12. It’s best to find a B Coimplex that includes all 8 of these essential vitamins. GABA is known to produce a calming effect on the brain that is similar to the effect of Xanax and Valium. GABA is an amino acid and neurotransmitter that helps to relieve anxiety by preventing neurons firing that create stress and anxiety. GABA is produced naturally but can also be found in supplement form. It is advised to take 200 – 600 milligrams of GABA each day (7). According to a study published in Current Medical Research and Opinion, Magnesium, when combined with Crataegus Oxyacantha and Eschscholtzia (Everygreen Hawthorn and California Poppy) is more effective at treating anxiety than placebos. It is also a highly effective way of dealing with muscle tension. It does also result in loose stool, however and has been known to interfere with other medications. It is recommended to take 200 to 300 milligrams daily. One of the best herbs for anxiety is Passionflower. According to a study published in the Journal of Clinical Pharmacy and Therapeutics (8), Passionflower is one of the best natural rememedies for anxiety when 45 drops are taken daily. It is very effective at relieving the symptoms of anxiety and is not known to have any serious side effects, though it can cause drowsiness if used in conjunction with antidepressants. Relora is a comination of extracts from Amur Corktree and Magnolia Bark. It is used frequently in traditional Chinese medicine. Magnolia Bark is believed to help relieve stress because it contains the compounds honokiol and Magnolol. Be certain to consult a doctor before taking Relora, especially when pregnant. The Rescue Remedy was created by Edward Bach, a British physician, and was intended to be used to relieve acute emotional stress. Rescue Remedy is a combination of Clematis, Star of Bethlehem, Impatiens, Cherry Plum and Rock Rose. It is effective at treating shock, inattentiveness, irritation, impatience, irrational thoughts and panic attack. Valerian is a mild sedative which is very effective in treating insomnia but is also a natural remedy for anxiety, agitation, stress, muscle tension, mental strain and muscle spasms. Research has shown that Valerian can be an effective a treatment for anxiety (9). It is not known to have any serious side effects though it is advised to avoid the herb if you have liver disease or if taking antidepressants or drugs that depress the central nervous system. 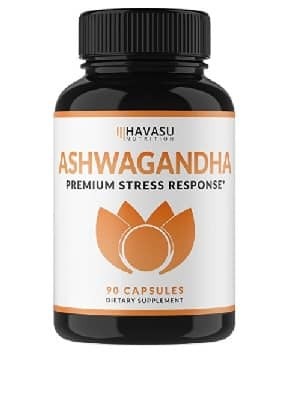 At the time of writing this guide, the highest rated anxiety supplement on Amazon was Ashwagandha. The reviews are seriously impressive: 4.6 out of 5 from 733 reviews. I’m sold.